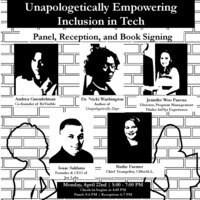 Panel, reception and book signing. The first 100 in attendance will receive a free copy of "Unapologetically Dope" by Dr. Nicki Washington. RSVP by Monday, April 15, 2019.